Our exhibits showcase the incredible diversity of marine life found off our coast. 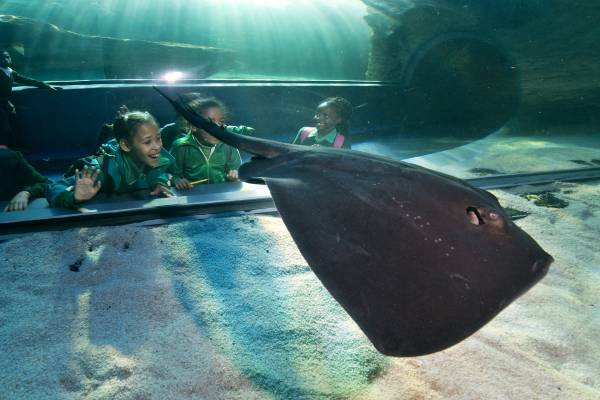 The exciting, newly revamped Predator Exhibits gives you the chance to experience a close encounter with some of the most misunderstood species in South Africa’s oceans. Meet the shiver of ragged-tooth sharks, watch schools of Cape yellowtail hunt for their next meal and watch the curious, but territorial, yellowbelly rockcod stand its ground to much larger predators. 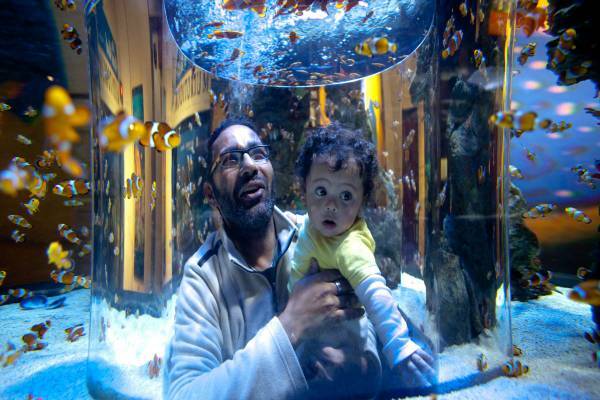 Whether you relax in front of the exhibit’s large window, or spiral around the exhibit’s viewing ramp - there is a jawesome underwater world to discover. The southern tip of the African continent is the meeting place of two mighty and bountiful oceans, the Indian and the Atlantic. 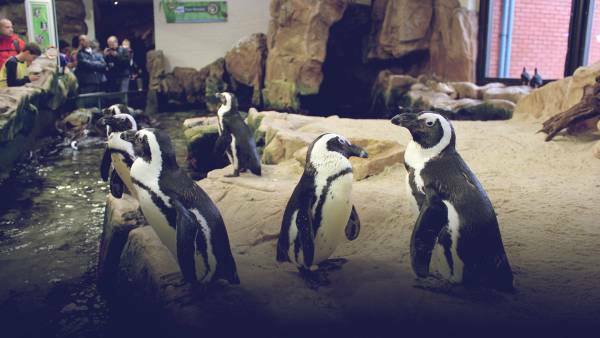 The Two Oceans Aquarium in Cape Town is ideally positioned to showcase the incredible diversity of marine life found in these two oceans. The Aquarium’s newest exhibit features a full 10-metre long tunnel and a 9 metre-wide, 4 metres high window onto a variety of subtropical species. The Smart Living Challenge Zone, a new addition to the Aquarium, encourages visitors to think about their impact on the environment and to make environmentally responsible choices. These choices will not only help them save money, but also lower their consumption of water and energy, reduce their waste and enrich biodiversity. The Kelp Forest Exhibit is an underwater forest where kelp plants grow like tall trees, fish swim through the fronds like birds and abalone, sea urchins and rock lobsters feed and take cover among the root-like holdfasts.